Fresh Fig I want to try them all of these tasty names! The question is, what to buy. Scrub – because it’s needed? 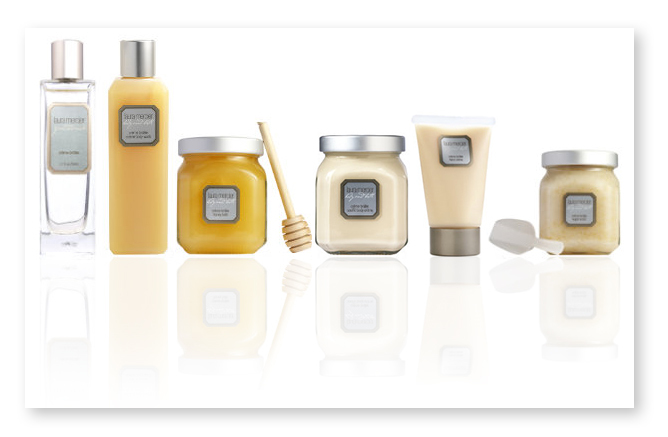 Hand cream or body – for sweet dreams? Eau de toilette for the collection? Is it worth it then? As you’ll soon see, my impressions of the scent of different products in line turned out to be different. 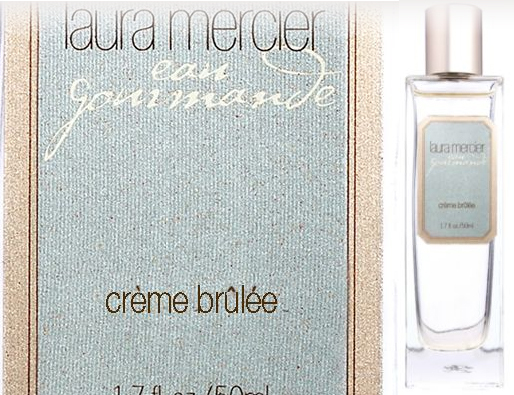 In this post there will be reviews of three products in a series of Crème Brûlée – shower gel, body scrub and perfume. Good foaming and long lasting enough. In terms of flavor it’s on a background comparing to the scrub and so I probably will not buy it, despite the fact that I used the bottle to the end. Unfortunately, this happens quite often. Just remembering my disappointment from shower gel Phylosikos by Dyptique! 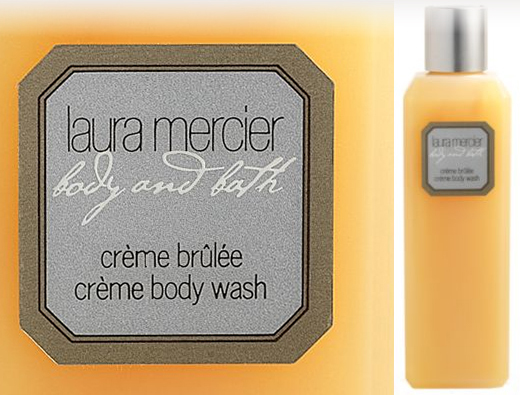 In the case of Crème Brûlée is not so bad, but still I like to scrub more. Declared by the manufacturer, of course, tenderness and suitability for use every day. Myfavorite.It seems to me the scrubmuchbetterrevealsthe essence ofgourmetline, probably, because ofthe texture,and because of thepackaging.Actually,withthis scrub did begin my acquaintancewith the Crème Brûlée line.It’shis faultthatI bought agel andperfume. It isindescribablydesirableproduct!Iwant tosmearon myselfand the restto eat.Liqueur and caramel are sogood! With regard tofunctionalqualities,the sugar particles could bein larger quantities, and they couldbesmaller.Unusualtexture, similar to a batterduring poundingsugar.Many refer toa stickyand viscoustexture, but I have no problemswith it.A jar ofheavyglass, as it is supposed to be in a decadent bathroomproduct.ScapulaInever used, I think it a uselessthing. I do not excludethat I’ll buy it again, despite the high price. Stated by manufacturer thatone canuse the scrub every day.The useful ingredients are vitaminsA and E, grape andolive oil. Actually, there area lot of goodherbal ingredientsin the composition. 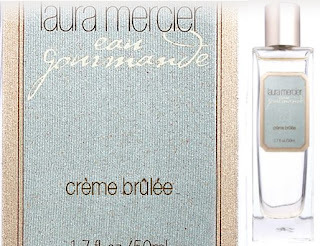 Crème Brûlée Eau de Toilette / Crème Brûlée Eau GourmandeWell, this water is much loved by many, you almost can not find bad reviews. As for me, I’m slightly disappointed. It starts with a wonderful aroma, very similar to scrub! Yet, while contact with scrub lasts only a couple of minutes, you do expect some more building of a relationship with a perfume. So, the start is bright and liqueur-ish. Many people on internet, who were expecting a pure caramel and vanilla, were disappointed by this liqueur tint, but I really do like it very much! I personally do not drink liquor (anything stronger than wine I do not drink), but the scent I adore. My husband regularly has Baileys and Tia Maria with coffee. And then it just gets boring. Flat candy, not even itself, but more like from the skin of the hands of a child who just ate it and smeared all over. No power, no longetivity, no depth at all. 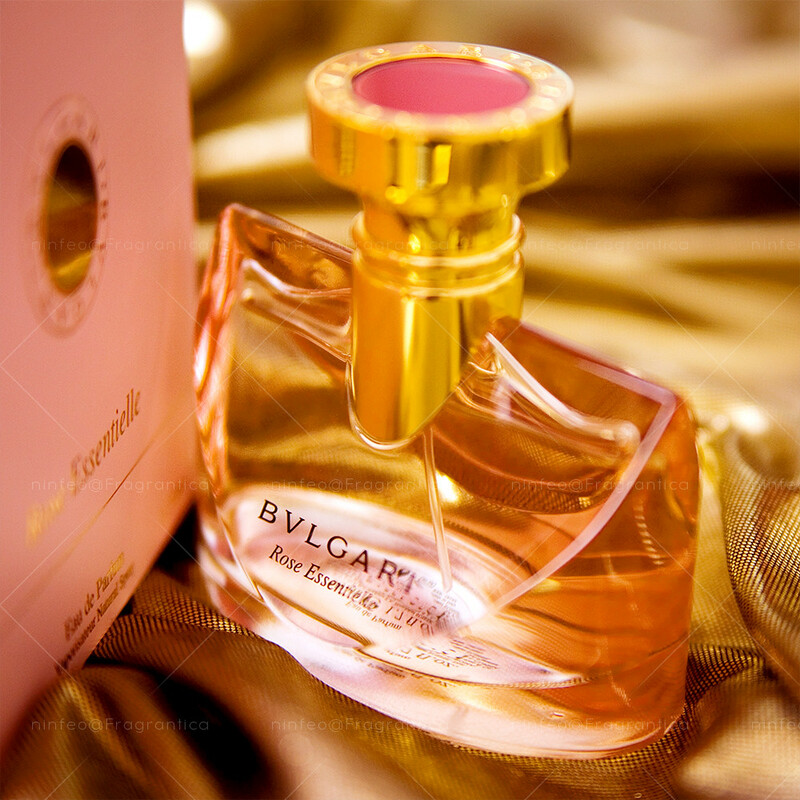 If the perfume doesn’t like you, it may sound like burnt sugar. I also noted musk in it in amounts more than I like in such scent. There is a tiny hint of leather.There is some disagreement – it’s written on the box EdP, and on the website – EdT. Although it is not important. Water is really very weak! So pour it loose – don’t be afraid! You’ll smell like ice cream and liqueur and a little mimosa (although the last might be just my imagination), but not for long. If you like – put some scent on you scarf, as on fabcric it lingers much longer than on skin. Conclusion: Scrub is an absolute champion for me from this product line. Another curious one to try would be a body cream Crème Brûlée Soufflé Body Crème, looks like it should be very tasty.